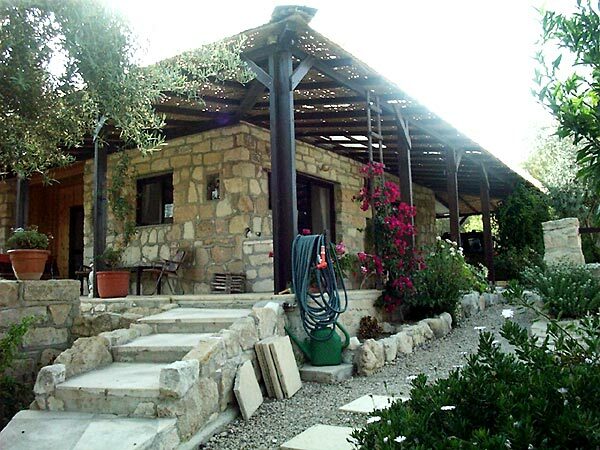 Detached pre-fabricated two bedroom bungalow, with, 2 bathrooms measuring 80sq m, with an extended 30cm lime stone wall, all around. 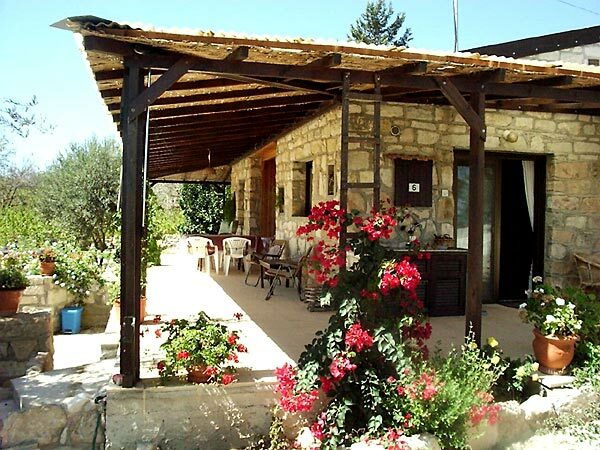 Set in a lovely garden of 800sqm with a Covered 3m-terrace with olive and orange trees and a rear side olive garden. There is a vineyard on the next plot of land and only one neighbour, 100 m. away. The Bungalow enjoys a wonderful view of the Troodos mountains, and has a permanent fresh breeze, so no air-conditioning is needed. 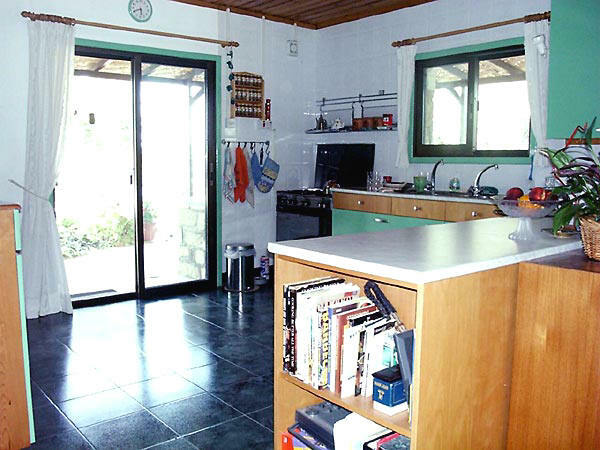 The property has its own in-garden well with an electric pump and a party/grill area. 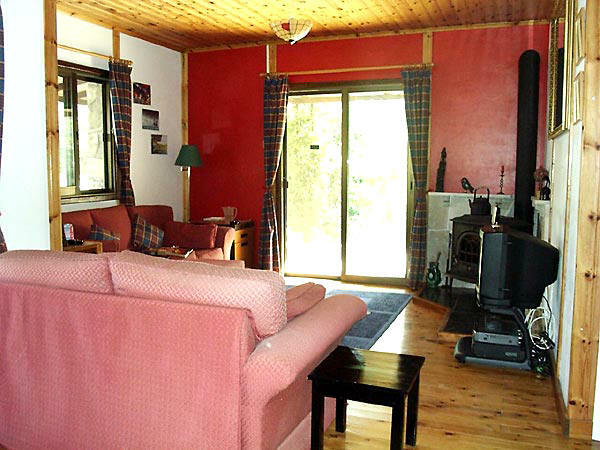 The sitting room has a wood burning stove with chimney, but the kitchen has a propane gas oven. 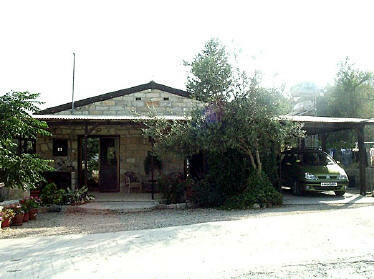 Only 2 miles to Tsada Golf Course, 10 min to Paphos City, 30 min to Paphos Airport . 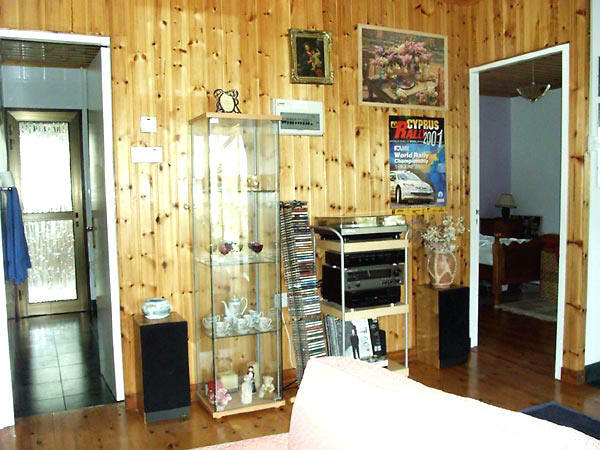 The property is unfurnished except for the kitchen and bathroom.